Does this look like a crown to you? It's the only reason I bought this light fixture at an estate sale this past weekend. It was the last day of the sale, and nobody wanted it. Nobody but me. A few people looked at me strange when I purchased it. They just didn't see what I saw. 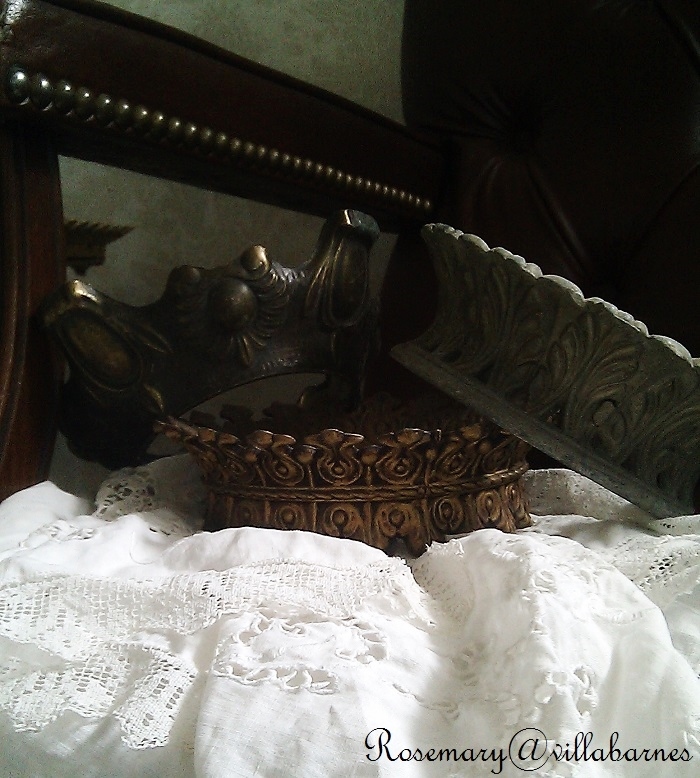 I've purchased many lamp parts, and assorted metal that resembled a crown. 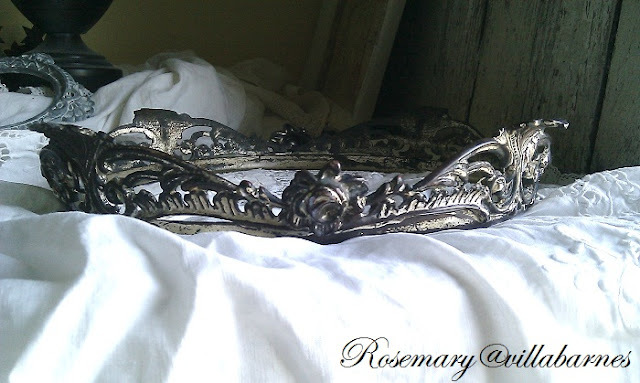 This next "crown" was the base of a broken platform mirror. Again, it was at an estate sale, and all anyone saw was a broken mirror. I bought it, tossed the mirror, and turned it upside down. A metal cup holder, missing the cup. Who needs the cup? Of course I see "potential" crowns as well. 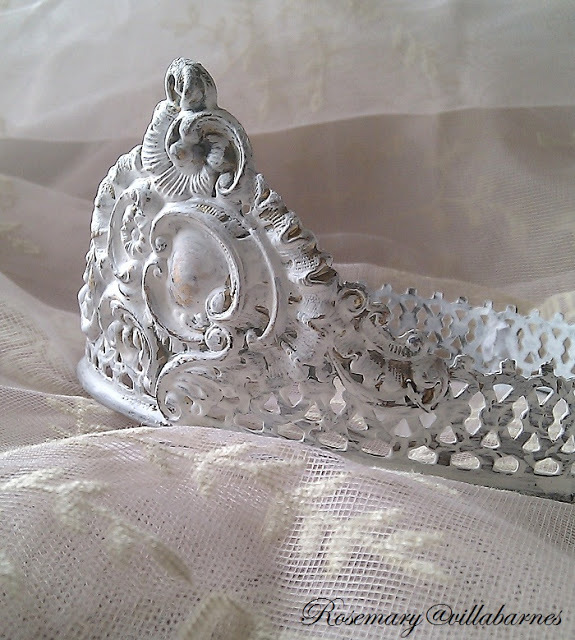 I combined metal parts to make this tiara I shared with you a while ago. If you missed this transformation, click HERE to see how it started. Following the same basic idea, I've made many more. As much as I love making them, I really love it when they're already "made". I learn so much from you and will start looking for crowns hidden in all kinds of objects now. Love your ideas and you, too. Oh, I have to start looking for these. You have a wonderful collection, and the ones you make are gorgeous. You rock!! 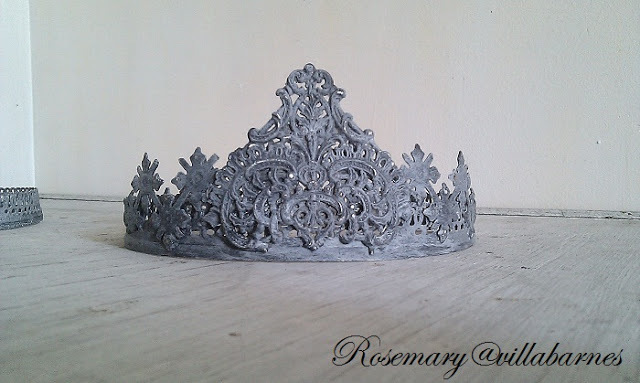 Amazing crowns, Rosemary! I will never look at things the same again, I'll always be searching for crowns:) Thanks for the inspiration! You were dead on! That does look like a crown. Love your other crowns, too. You have such vision, Rosemary! That's one of the things I love about thrifting Rosemary... being able to repurpose or see something new in an old piece. Love your crowns. LOL, I see crowns in things, too, Rosemary! I had one light fixture I took apart and one piece would have made a great tiara. It is attached to a square piece but I think it is welded on so I don't see any way for me to separate them. 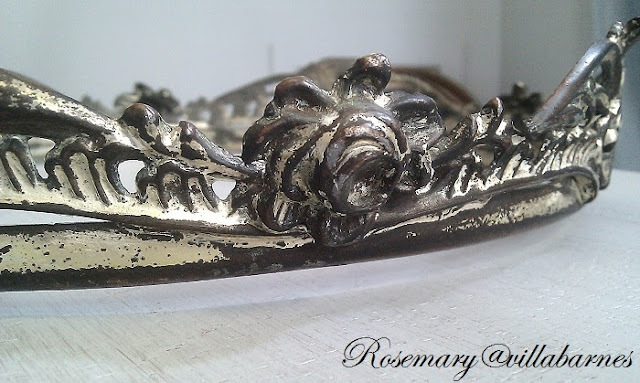 You do find quite a few things that have "crowns" within them! 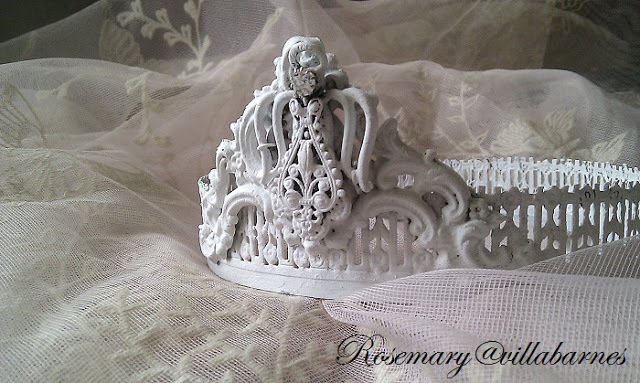 I'm not surprised you see " crowns " Rosemary - you ARE the queen of repurposing after all!!! They're gorgeous- every single unique one of them! Rosemary, you know I'm a sucker for a crown. I've flipped a shelf over because it looked like a crown tray that I had been wanting...lol! Yours are beautiful! Yes, I totally see crowns in each of them! Don't you love when people look at you like you're crazy when you're buying something that more than likely will end up in the curb pile?! 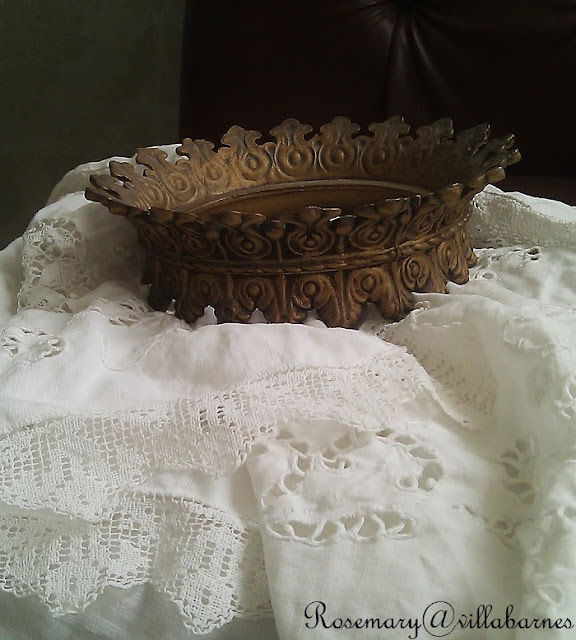 I love your finds and your blog. You unabashedly love pretty things and put your ideas into practice. I have an idea for you, for those globes. I picked up a bunch at my reuse center. I bought solar, garden, LED lights at Wal-mart for $1.00 each. I stuck them in the garden, put a globe on it and waited. My gardens look like they have bubbles in them at night. For you? I can see the globes beautifully stenciled or something. you are so clever my friend! Your crowns are beautiful. When I was about 4 or 5 years old, I spent most of a summer wearing an embroidery hoop on my head as a crown. Alas, my crown wasn't nearly as cool as yours. You really have a great eye Rosemary. You are so creative in your thinking! You could fill the globe with a bag of cement and have a great garden element, too! Yay for Rosemary! You really have an artist's eye, Rosemary. Love that! All are beautiful...gotta pin these to my Crowning Glory page...they are fantastic. Okay, you now have me looking through all my stuff looking for crowns! I have never thought of them before. Yours are beautiful! Totally cool! 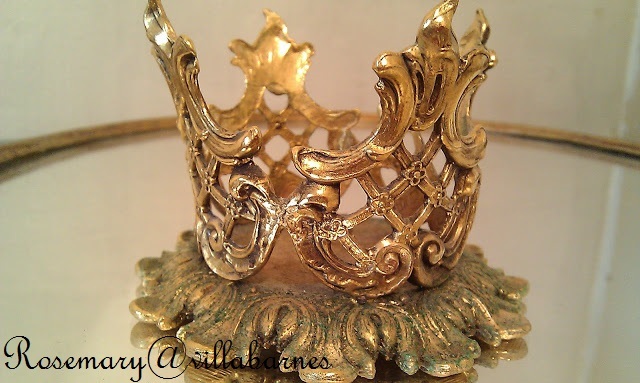 I love crowns - my maiden name was King and I love the symbolism of Jesus being King of my life. You have some totally awesome crowns - I'm almost green with envy! LOL! 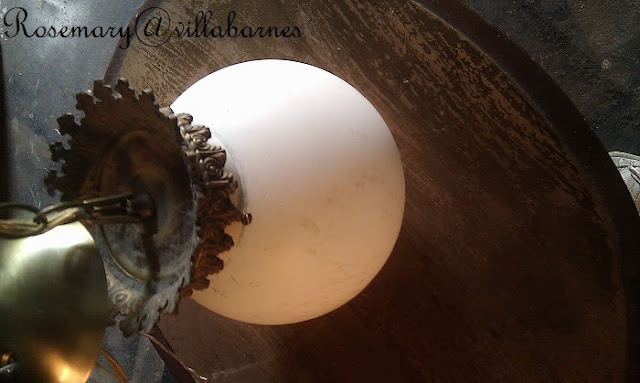 And I will never look at light fixtures the same again! A whole new world just opened up! Rosemary- you see the beautiful in the discarded. If only more people saw beauty in everything- in the ugly, in the "trash", even in every person on earth. Thank you for showing us what you see. It's all a matter of perspective. I often see things in pieces others don't or don't want to. 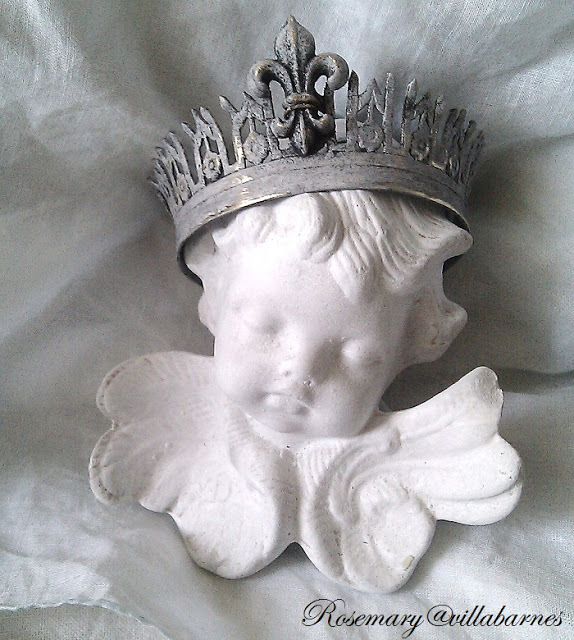 I have squeezed in my crown taken off the ugliest out door pendant lantern. It's pieces like these that add to the mix of what we create. 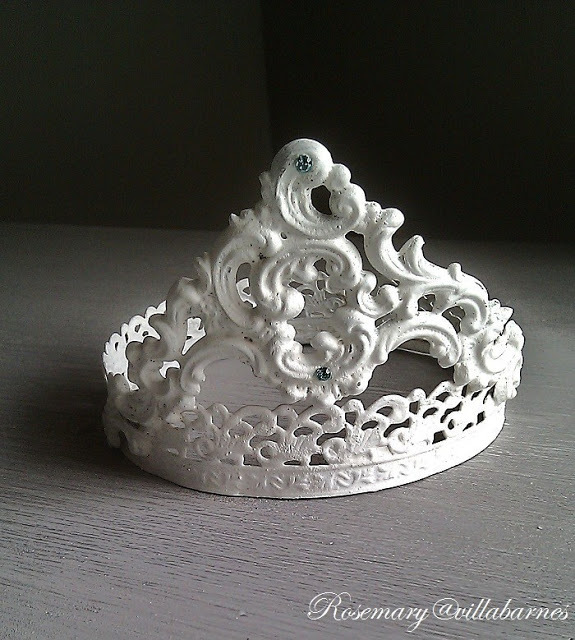 As I have said before you my dear are the queen of crowns, and I so see the one you wear. Rosemary you are magical in all you create and your vision in what you see I so relate to. Blessings in abundance to your health and beauty within. 50th birthday I am so drawn to them. Great post! Visiting from Nifty Thrifty Tuesdays. Following! Your collection is amazing!! I have several crowns but nothing compared to yours. Rosemary, you are a genius! Thanks for poking my old brain with some inspiration. 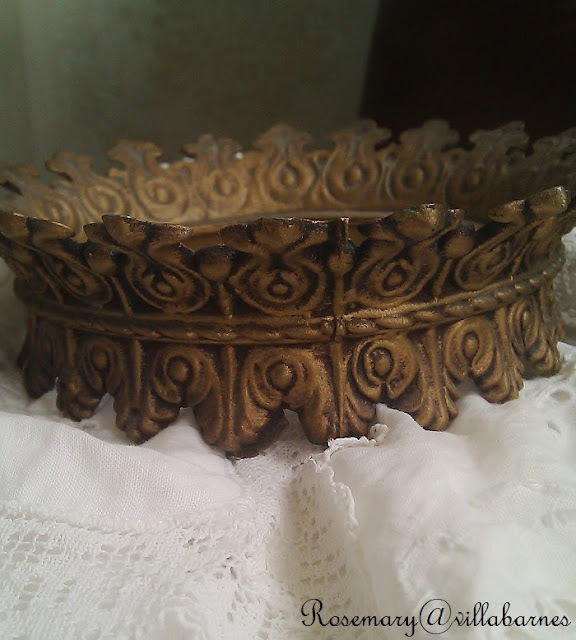 I have a couple of old pieces from a kerosene lamp that will make perfect little crowns. Yours are gorgeous and elegant, you have such skills girl! Thanks for stopping by. Good for you for taking the day off and doing just what you want to do. Taking a bread from everyday life is a good thing. Ahhh brilliant Rosemary! I love the crown I purchased from you! It is a special treasure! I have never seen this before! You truly have a *gift* to see more than what something is, and what it can be ~ beautiful. Thanks for sharing. You are amazing! I think I have a couple of crows laying around my garage! Now I'm excited! Thanks for the inspiration!